Clearly, I love taking phone photos. This is not a shock to a single one of you, I’m sure. I also love seeing them in print. 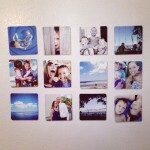 I have done various versions of this including Printstagram and Walgreens prints of my Instagram masterpieces. I have been pleased with those results but I am always looking for a new service to take the Instagram phenomenon to the next level. About 2 months ago, a company called Printic got in touch with me to check out their app. Basically their app allows you to upload photos from your iPhone, Instagram or Facebook, add a note and ship to anyone in the world*. 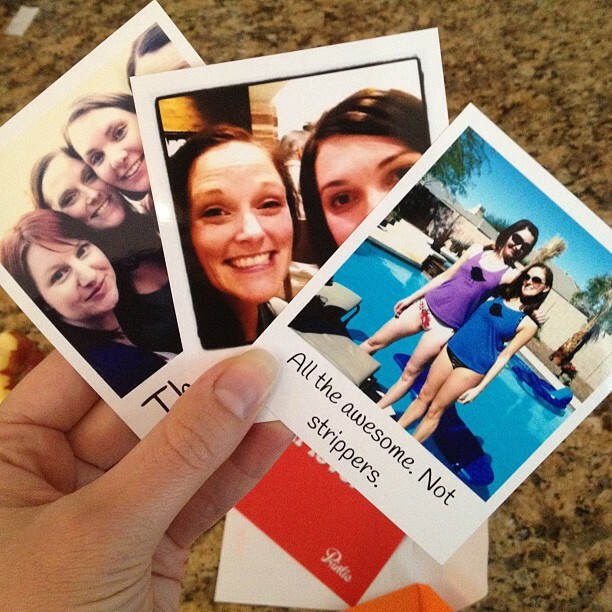 The 3×4 prints ressemble a polaroid type style to allow for the messages along the bottom. All for $.99. That includes shipping and all fees. So to try them out, Printic gave me a few credits to try out. 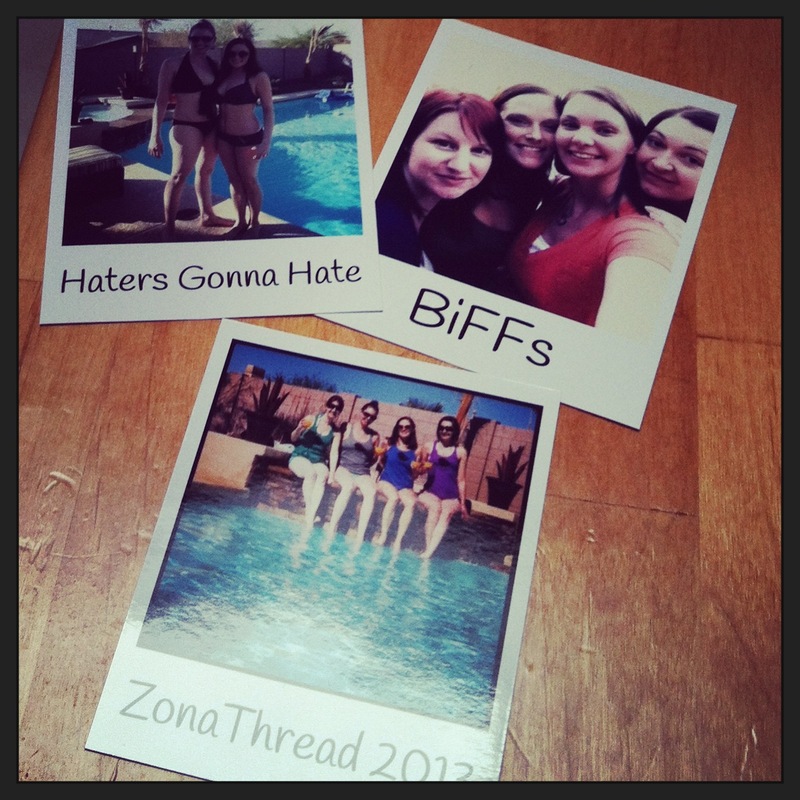 I quickly pulled up a few pictures from my trip to Arizona and sent them to my favorite ladies THOUSANDS of miles away from me. I was really drawn by the ability to surprise the recipients. You connect it right to your Contacts in your phone and ship away. For each girl, the whole process took no longer than 3 minutes to upload, label and ship 3 pictures a piece. I also sent a set to myself to see it in person. I LOVE them. They are great quality and come in the cutest little packaging. I have them in my office at work and everyone has commented how cute they are and what a great gift idea it would be. But since I sent to 3 of my favorite ladies, I asked for their reactions. I didn’t tell them I did it and they just showed up. I was so pleased with the whole process and can say I will do it again. When a friend needs pick me up. When I want someone to remember a special event we shared. When I just want some cute things for myself. It is going to be used again and again. The app is free in the app store, so I encourage you to at least download and take a look at it. $.99 to make someone’s day. To sweeten the deal, Printic is giving away 6 credits to try them out. We are going to go simple to enter this giveaway and just leave a comment of the photos you have that you would want to surprise someone with! I will draw for the winner Friday June 21st at noon. All readers can enter since Printic ships internationally. THE WINNER IS BETH Y. I will email you shortly! 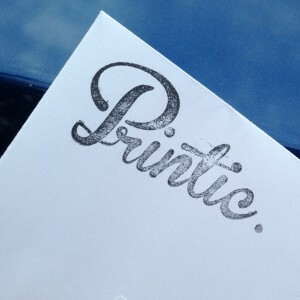 *Printic provided me with free credits to try out their product. I also liked them so much I ordered more on my own. My mom has a “wall of fame” and loves to print out (on 8×11 white paper) the photos her kids send her and post them. My brother NEVER sends her photos. He will be here next week and it would be so fun to steal photos off his phone and send them to her and have them be REAL photos! I would love to send pictures of my boys the my in-laws, they aren’t very tech savvy and miss a lot of my Instagram pictures. I’d send pics of my kid to my aunt & uncle… she’s homebound we’re so busy this summer, we haven’t found time to visit since Easter. Plus, I have the lazy when it comes to print & mail! This sounds pretty cool – I just downloaded it. 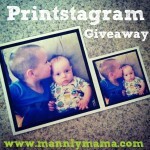 It’d be a great way to get baby pictures to the grandparents who are less technologically savvy. I’d send pictures to myself. Because I never have time to print any, and my girls are growing TOO FAST. And also I’m greedy like that. Love this idea. Downloading now! 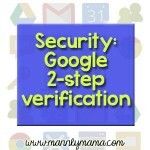 I love this idea and will definitely be downloading the app. We try to send pictures to grandparents and non-internet savvy family about once a month, since they don’t get to see us often. This would make that very easy! I’d send pictures to my husband’s grandmother, who doesn’t get to see our kids often nor does she have a cell or email to receive pictures. Saw when you posted those to Instagram and wondered where you got them. Love the Polaroid style. Both sets of grandparents live on the east coast while we are in Seattle – they would love to receive some surprise photos of their granddaughters in the mail. But. 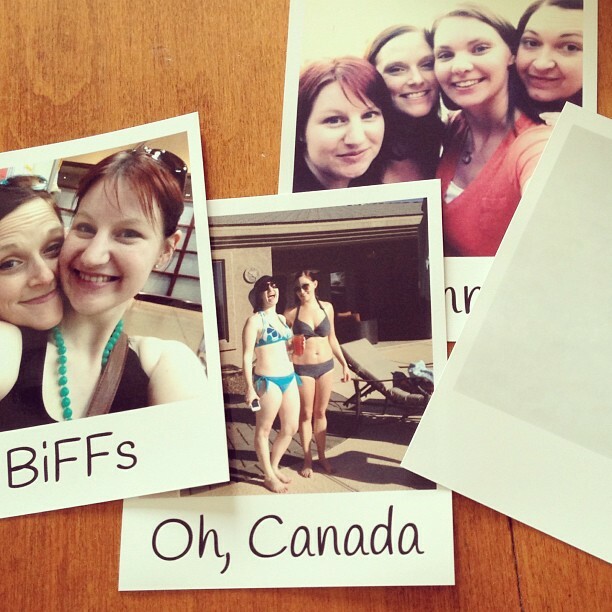 I’d probably send them to far away friends to bring parts of us to where they are. I would send them to my grandparents. They are 500 miles away and don’t get to see their great granddaughter often. They love when I send pictures! I’d sent pictures to my sister, my parents, and my grandmother-in-law! I’d send them to my nieces and nephews who love getting mail! 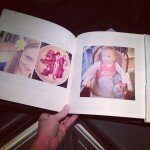 I would print the pictures of my kids that my husband doesn’t have and give them to him to have in his office at work. He would LOVE that! I would send some to my best friends!! What a neat service that is so affordable! I would be selfish and use it for myself. My 5 1/2 month old daughter is going to start having a complex if I don’t get some pictures up of her. Her 2 year old brother’s mug is splashed all over the house so I need to play catch up! I love this idea! I’d send pics of the bebe to either the grandparents or my best friend.